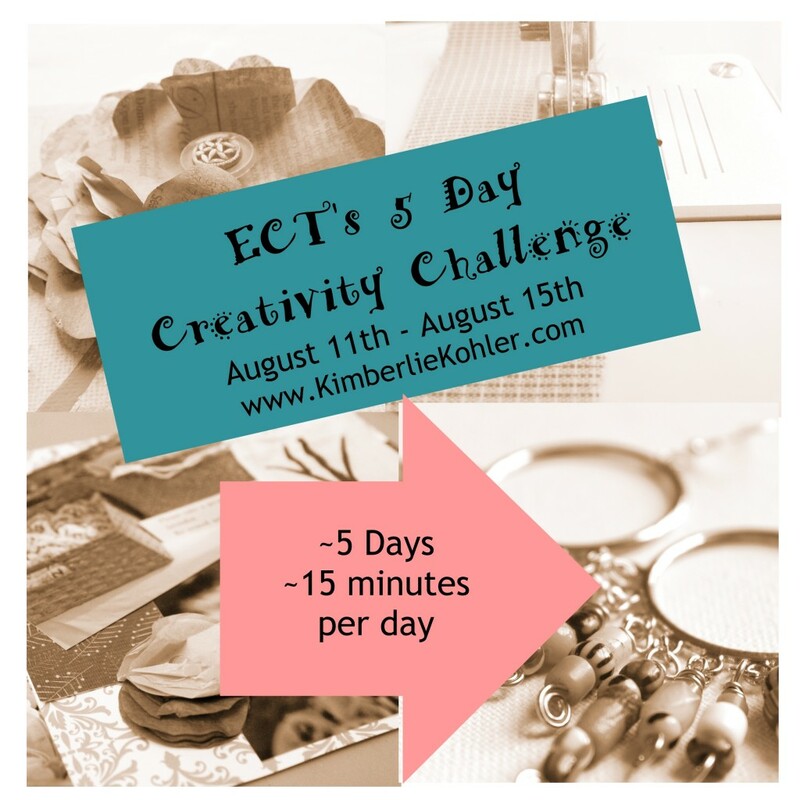 Today is Day 1 of the Creatively Challenge! Yay! What is the Creativity Challenge? Well, there has been a couple of questions, so I’ll just clear them up right here. Just do something creative for 15 minutes daily for the next 5 days. You can do whatever you like. You can make jewelry, you can write, you can paint, you can take photos, you can write a song, etc. Anything at all. Just make a conscious effort to carve out 15 minutes in your day to do it. I’ll have a post on my Facebook page each morning where you can check in. You can comment with “done” or what you did or even better yet a photo of what you’re doing! I know some of you don’t have Facebook, and that’s fine. You can do the challenge without checking in. Do I have to do every day? Nope, do whatever feels right to you. I challenge you to make an effort to do something creative every day for the next 5 days, but if you can’t pull it off, don’t beat yourself up about it. There’s no winners or losers in this challenge. Just a group of people trying to be more creative each day. Can I only do 15 minutes? Of course not! If you feel like you want to keep going, please do! This is a free flowing and low key creativity-a-long! I’m providing a place for you to check in to keep you motivated and focused, but use it how you feel it best suits you! To get started, I invite you to like my Facebook page so you will see my check in post. When you complete your 15 minutes of creativity, come to the page and comment on the daily post. It might help you to have a general idea of what you might work on so that you are ready each day and don’t have any extra excuses. So for example, you might want to work on a new necklace this week or maybe you will be knitting or maybe you want to make a painting. Get the supplies you’ll need together in one spot you can access easily so when you have 15 minutes you can just grab them and start working. 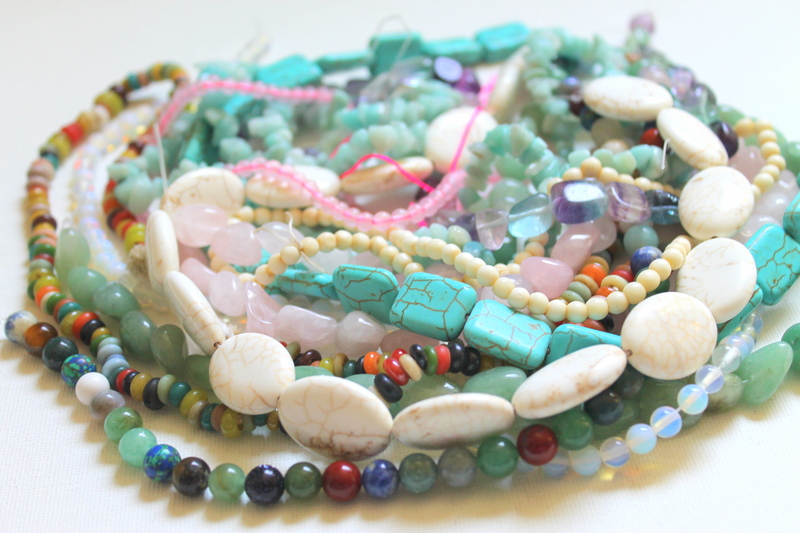 So, if you are making a necklace you may want to gather the beads you’ll need, the tools, wire, etc. If you want to scrapbook maybe gather up the photos, papers, adhesives and embellishments you would use. Even though I’ve told you to plan it out, be flexible. Things do come up. That’s why I’m having this challenge in the first place. But try to make this a priority just for these next 5 days in your life. Yep, I get it! See that last bullet point there? That’s why we’re doing this. We’re just committing to the next 5 days. Think of where you might waste 15 minutes of time in your day or where you might recapture it. Maybe it’s TV, Facebook or maybe you just need to stay up a bit later or get up a bit earlier. Most likely you do have 15 minutes somewhere. If you truly don’t have time I want you to think if creativity is really a priority for you. If it’s not, it’s fine. But if it is you may just need to re-prioritize things or delegate or loosen up your normal routine. You may find a better routine. Or you might just go back to your normal routine after these 5 days. Have any fears around creativity? Check out this post on transforming creative fears to help. Go do something creative for 15 minutes and then check in at the Facebook check in post! See you there! This entry was posted in Creativity and tagged 5 Day Creativity Challenge, art, challenge, craft, creativity by Kimberlie. Bookmark the permalink.